There will be another "new" brewery in Portland early next year. 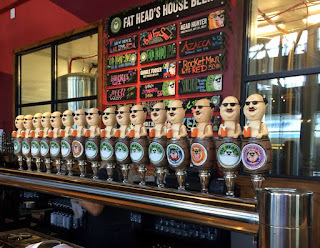 Fat Heads Brewing, launched in 2014, will close in January. 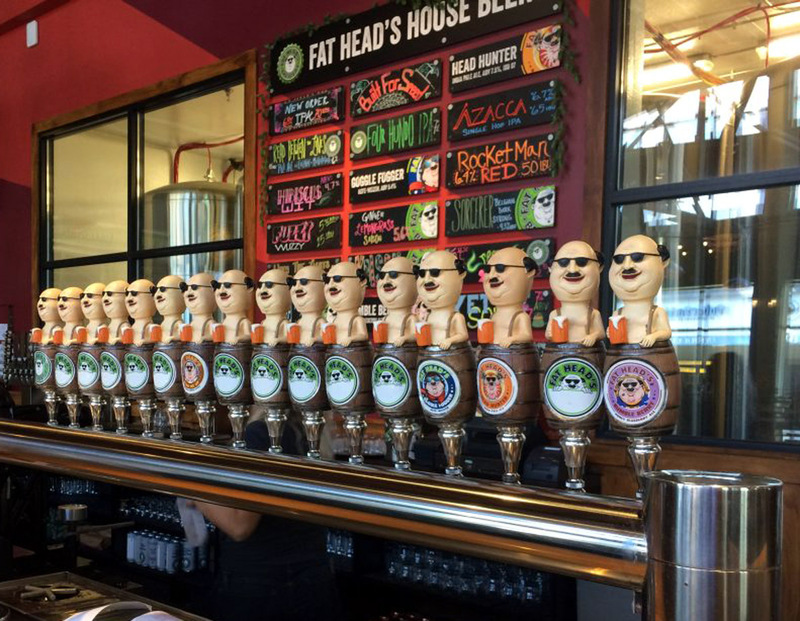 It will be replaced sometime in the first quarter of the year by Von Ebert Brewing, which will be operated by current Fat Heads franchisee, Tom Cook. When news of Fat Heads closure hit beer media email boxes and social media Tuesday evening, a lot of people wondered why the apparently successful brewpub would close. In fact, the closure has nothing at all to do with the business here. What's actually at work is that corporate Fat Heads, based in Ohio, has a lot going on in its home market. Rather than continue to focus on its remote Portland outpost, the company and Cook mutually decided to end the franchise arrangement. "I know it sounds like spin," Cook said via email. "But that's exactly what happened. They wanted to focus on the Midwest, where they have a lot going on with a new production brewery and the new Canton brewpub. I wanted to focus on Portland. We decided it's probably best for them to continue in the Midwest and for me to do my own thing out there." He admits it wasn't an easy decision. The franchise has been highly successful here. Indeed, the success of Fat Heads surprised more than a few in the beer geek crowd. Many thought an out-of-state chain would quickly collapse in beer wacky Beervana. Didn't happen. "I think we succeeded here because we built a great team and gave it the right tools," wrote Cook. "There's no way I would be doing what I'm doing with Von Ebert if my team here wasn’t staying and fully behind me. This wasn’t an easy decision, but I think it's the right decision for everyone." 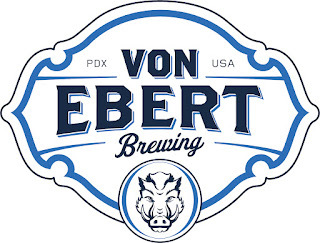 Von Ebert, when it opens, will specialize in hoppy brews from Head Brewer, Eric Van Tassel. Sean Burke, formerly of The Commons, is also part of the Von Ebert Brewing team. Burke's talent for brewing uniquely interesting beers is well-known. Cook expects they will release 100 or so unique beers per year, including American, German, Belgian and barrel-aged beers. 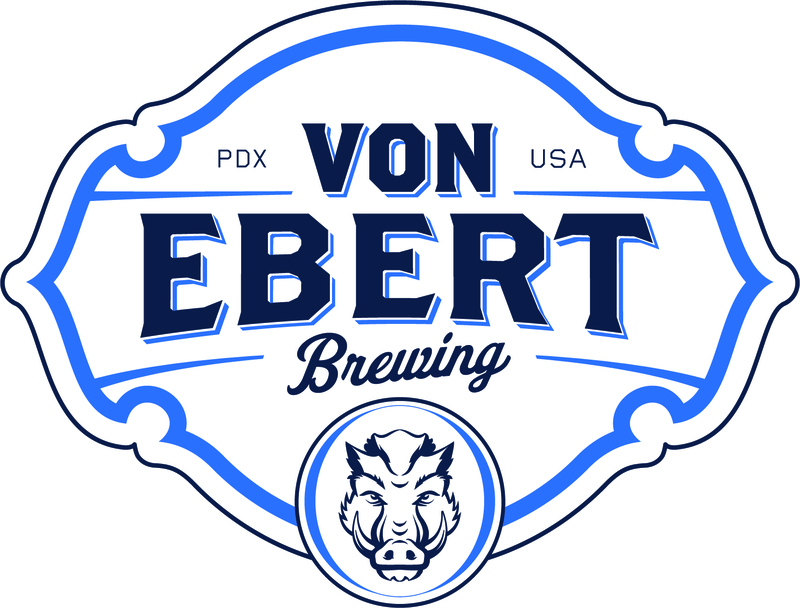 "Von Ebert Brewing is a new concept, where northwest family traditions meet bold new ideas in craft brewing,” said Cook in a press release. "We’re excited to unveil a completely new experience for customers, blending our brewing expertise with the adventurous flavors Portland has come to love." The pub will feature what he refers to as "elevated American pub food." Items will include traditional German pretzels with beer cheese, stone-oven-baked pizzas, cheeseburgers stacked high with locally sourced meats, decadent sandwiches and smoked wings. "True to our character, our menu will combine classic pub fares with the kind of top-tier quality, local ingredients you can only find in Portland," Cook said. Those in the know are aware that Cook had quietly planned to open a brewpub in the vacated Ringside Steakhouse space adjacent to Glendoveer Golf Course in east Portland. Evidently, those plans will be more or less on hold until he clears some regulatory hurdles. If you're like me, you wonder about the Von Ebert name and logo. There was nothing about its origins in the press release announcing the plan. So I had to ask. "My great grandmother came to the United States from Germany and her last name was Ebert," Cook wrote. "She gave up quite a bit in Germany to bring my family here, so I wanted to pay some respect to my immigrant family. "Eber" in German means boar, thus the boar in the logo."